BEIJING • A Chinese librarian stole 143 artworks from his gallery and replaced them with his own fakes, he told a court - only to find his works substituted by other fraudsters. For nearly eight years, Xiao Yuan, chief librarian at the Guangzhou Academy of Fine Arts, substituted paintings and calligraphy artworks with his own art and sold the originals, making almost 35 million yuan (S$7.7 million), the court heard. Works by 20th-century painter Qi Baishi - whose Ode To The Motherland fetched 72 million yuan at a Beijing auction in 2012, and who is considered one of the world's highest-valued artists - were among those removed by Xiao. 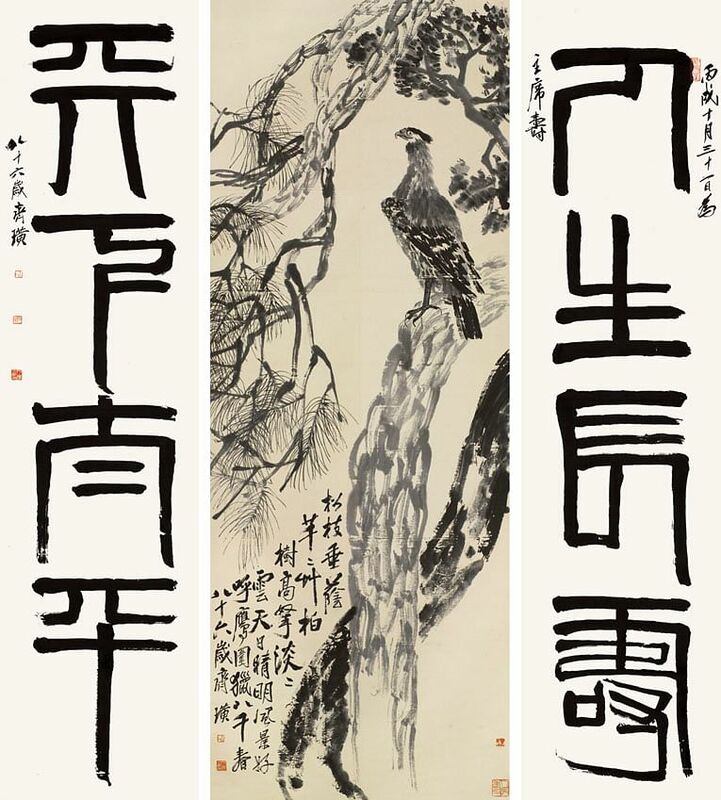 Xiao also replaced Rock And Birds by 17th-century painter Zhu Da which was valued at 30 million yuan, the Information Times newspaper said yesterday. He sold 125 of the paintings at auctions, while a further 18 in his collection were valued at around 77 million yuan, prosecutors said. I could see it wasn't my own work, the standard was too bad. Xiao, 57, told the court that the practice was rampant and the handling of such paintings was not secure. He said he noticed fakes in the gallery on his first day on the job. Later, after he replaced some of the remaining masters with his own fakes, he was surprised when his fake paintings were substituted by even more fakes. "During the investigation when the police showed me a picture of my copies, I realised that 10 years earlier someone had replaced it with their own copy, because their work was very poor," he said, according to footage of Tuesday's hearing posted online by the Guangzhou People's Intermediate Court. "I could see it wasn't my own work, the standard was too bad." Xiao did not know who had replaced his fakes, but said students and professors could take out paintings in the same way as they could borrow library books. Xiao pleaded guilty to a graft charge for substituting the 143 paintings, saying he regretted his crime. He will be sentenced later. He stopped stealing when the paintings were moved to another gallery. He was the university's chief librarian until 2010, and his crimes came to light when an employee discovered what had happened and went to the police. A spokesman for the Beijing branch of China Guardian Auctions confirmed to AFP that Xiao was one of its clients, but said it was "still verifying the details related to his case". Police have previously closed museums in China for displaying fake exhibits. The Lucheng museum in the north-eastern province of Liaoning was closed last year after almost a third of the 8,000 items on display were discovered to be not genuine, state media said. In 2013, a museum in the central province of Henan was found to have scores of fake exhibits, including a vase decorated with cartoon characters but described as a Qing dynasty artefact. Pictures posted by the state-run China Radio International showed the vase decorated with bright green cartoon animals, including a creature resembling a laughing squid.